109 registered members (ArrestMeRedZ, 2015_PSD, Anduril, Astro14, Avelectro, 18 invisible), 2,183 guests, and 31 spiders. Other than say tirerack or discount tire. Anyone have any recommendations for online place to purchase a set of after market wheels that reasonably price? Discount Tire or Discount Tire Direct. ECS Tuning if you drive German or a Mini Cooper. I always find it best to determine the wheel you want first, then find a retailer. Here's a site that makes some recommendations. I had a set of Sport Edition wheels for winter use on the Honda and they were not very good. The paint flaked off quite early and as expected the alloy corroded. They regularly leaked (I assume) due to corrosion where the tires contacted the rims. Looked bad within a couple of years and were recycled within 8 or 9 years. It would have cost more to sand blast and paint them than it would have cost to replace them. On the other hand the Mille Miglia wheels for winter use on the BMW are still fine after 14 or 15 years. My BMW has OEM BBS wheels and they're excellent. They look as good as new after 17 years. My Honda has OEM Enkei wheels and they're quite good. They tend to scuff a bit but are otherwise holding up well after 10 years. I'd be comfortable buying another set of Enkei wheels. Interesting. I have a set of 17" Sport Edition wheels for a Honda Accord and they are still great after 8 years. No leaking or corrosion. 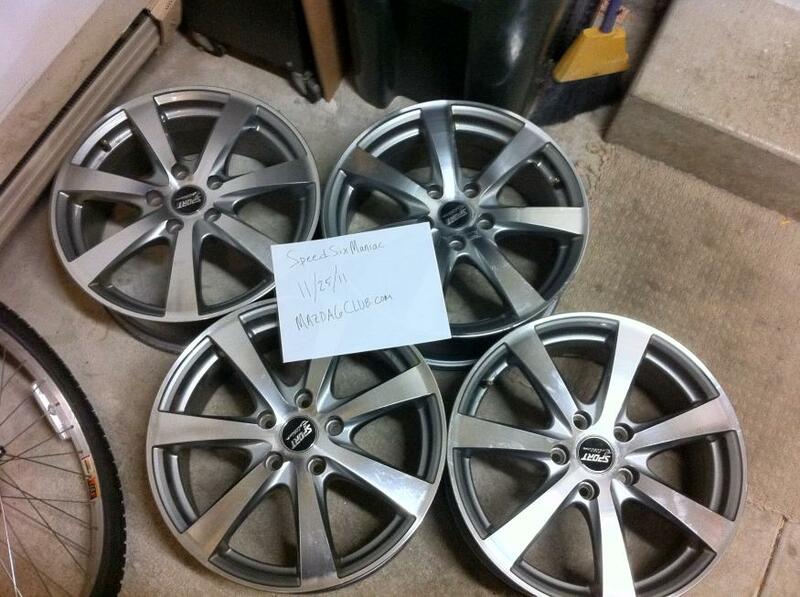 They are a polished aluminum wheel with a clear coat finish. Last edited by jjjxlr8; 10/13/17 11:57 AM. Most of my aftermarket wheels were purchased at either The Tire Rack or Discount Tire. I bought my current wheels off of Craigslist, but I did run into a bit of a hiccup - One of them had a short crack on the lip and the previous owner had tried to hide it with JB Weld.. and I missed it when I was looking them over. Discount Tire pointed it out to me when I tried to get them to mount the tires on the wheels. I was lucky enough to find a top-notch welder here who specializes in aluminum and alloy welding. He did an amazing job and the wheels are good, but I definitely dodged a bullet. My big caveat when looking for wheels on Craigslist is to do extra due diligence and make sure you inspect the wheels super close. IMHO, CL is worth looking at, but really only if you can get them cheap. I got these ones for cheap, but if I had known about the crack before I paid for them, I would have just skipped them and kept looking. My main go-to nowadays is DT, DTD, and Tire Rack. depends on what you want, but buying from discounttiredirect.com gets my vote as i buy a set of tyres, needed or not at the moment, they mount + balance them with free shipping!!! they can sometimes get wheels not shown on their site. there are MANY .coms to look at but consider the total cost as many shops charge xtra for stuff not bought thru them!! Sounds like yours are a lot better than mine were. Mine were 16" and painted a silver colour. Mine were made in China. I used them as winter wheels. By the end, every time I went to put on the winter wheels I had at least one flat tire - and always a rim leak. The tires were getting old and I couldn't see putting a new set on those rims. So the wheels and tires went to recycle. Maybe their clear coat finish is better than their paint. You can probably find a set of used OEM wheels on Craigslist if you are patient. Even if they're in rough shape, you can refinish them yourself or just pay a wheel repair shop.